Dozen Dozen is a themed pop-up window gallery. A group of visual artists, one window, one theme per exposition thought out by one of the participating artists. A dictatorial collaboration. The passing flaneur is forced to experience the display through an conceptual framework. There is more than simple seduction or flat aesthetics. Dozen Dozen is located in the heart of Rotterdam, on Botersloot 18a, a busy street in an engaging district. An ideal place for showing your finest work. An audience is guaranteed! Every first friday of the month there is an opening and new work by a selection of artists is displayed. 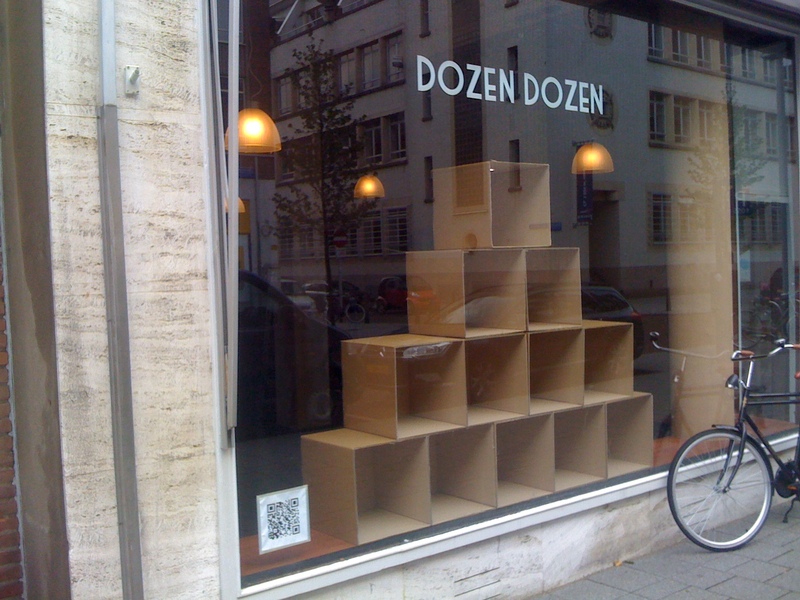 In the display window of Dozen Dozen is a collection of boxes. For every artist one box. The box is simple, not-spectacular. The work in the box is what counts. 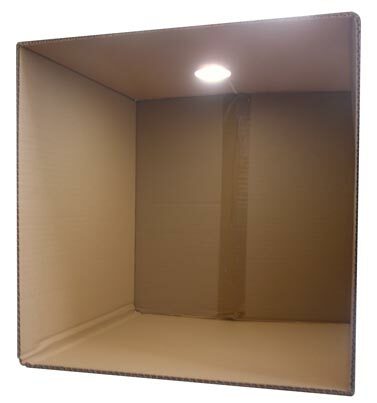 The box has an interior space of 400 x 400 x 400 mm. The box has its own light. All the boxes together will be a work on its own. There is an option to use the space behind the window for performances or bigger works on opening nights. However, this space is not always open to the public outside of opening nights, the window is. Want to join? Feel free to contact Dozen Dozen at DozenDozen@ConstantijnSmit.nl with a link to your work. If there is no space available you will be placed on a waiting list.